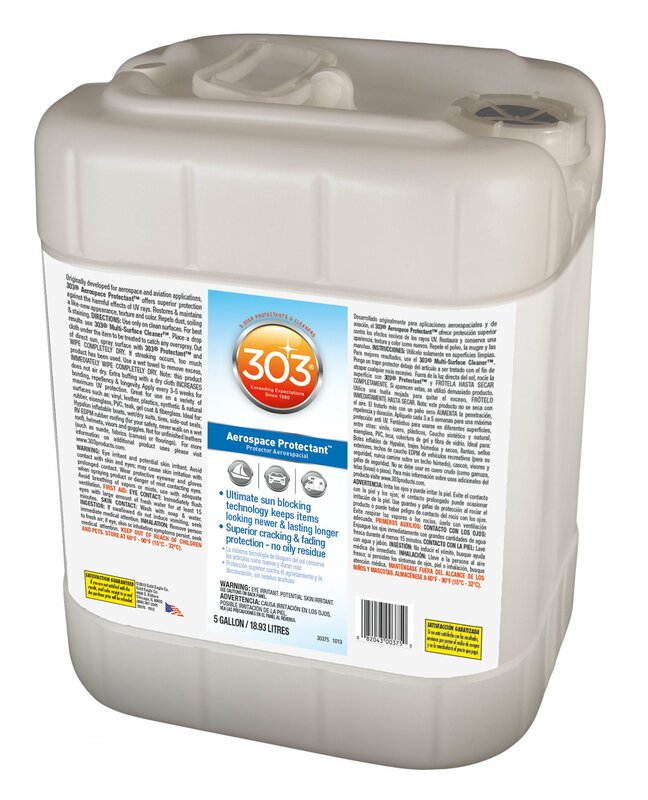 303 Aerospace Protectant is the most powerful UV screening protection ever made. Use it on lots of boating and household gear. Great for use on a variety of surfaces including vinyl, plastics, synthetic and natural rubber, PVC, finished leather, teak, colored gel-coat fiberglass, clear vinyl (Eisenglass) windows, and more. On unfinished leathers (such as suede), fabrics or floorings.